Japan is filled with nature, festivals, and Mt. Fuji. During our Fuji Shibazakura Festival Japan Tour, enjoy one of the most beautiful festivals with Mt. Fuji's iconic presence in the skyline. Travel from Tokyo to Hakone, Nara, and Kyoto, with a day spent at the Shibazakura Festival, where pink and purple nature cover the lands. Our Fuji Shibazakura Festival Japan Tour through Tokyo stops at some of the best highlights the capital city has to offer. Enjoy the sights and sounds of Shinjuku, the city's beautiful gardens, and more during your time in Tokyo. Our tour isn't complete without time spent at the Fuji Shibazakura Festival at Mt. Fuji. 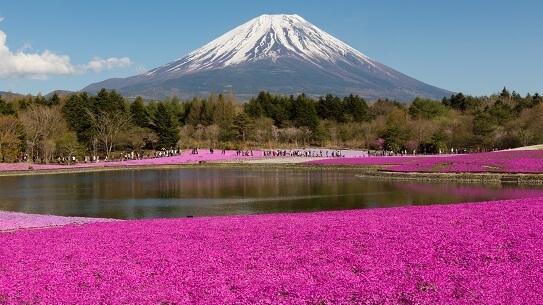 See thousands of pink and purple folliage overtake the fields of Yamanashi for awe-inspiring scenery. This tour also includes a stay at a Japanese style style hotel where you can soak in the hot springs and enjoy a traditional Japanese style meal. You can also extend your vacation before / after this tour in Tokyo. 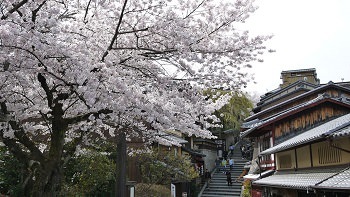 Sakura, or Japanese cherry blossoms, bloom briefly, overwhelming trees from the mountains, next to the rivers, and inside the cities in clusters of pink flowers. This breathtaking view can be seen with our fully escorted Japan Cherry Blossom Tour package traveling from Tokyo to Hakone, Nara, and Kyoto. Our Japan Cherry Blossom Tour package will begin from the great Tokyo Metropolis, stopping at some of the highlights of the city including Sensoji Temple in old town Asakusa and the Electronics Town that is Akihabara. Enjoy a day in the hot spring town of Hakone, where you can get clear views of the icon that is Mt. Fuji. You will stay at a Japanese style style hotel where you can soak in the hot springs and enjoy a traditional Japanese style meal. With the bullet train, the ride to Nara and Kyoto will be a quick one. We will say our greetings to the Giant Buddha at Todaiji Temple in Nara then head to Kyoto to explore the traditional gems like Fushimi Inari Shrine or the Golden Pavilion. Our Cherry Blossom Japan Tour would not be complete without participating in Japanese green tea ceremony and viewing a dazzling kimono show, which we have managed to fit into our Japan tour packages. You can also extend your vacation before / after this tour in Tokyo, Osaka, and Kyoto. 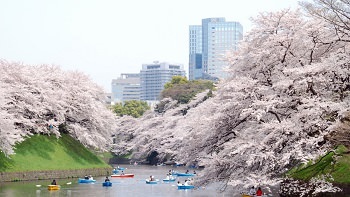 Sakura, or Japanese cherry blossoms, bloom briefly, overwhelming trees from the mountains, next to the rivers, and inside the cities in clusters of pink flowers. This breathtaking view can be seen with our fully escorted Japan Cherry Blossom Tour package traveling from Tokyo to Hakone, Mt. Fuji, Nara, and Kyoto. 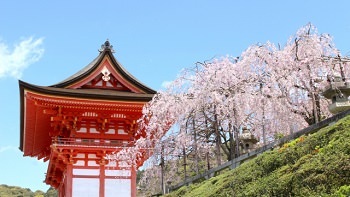 This Japan Cherry Blossom Tour | Hanami package will begin from the great Tokyo Metropolis, stopping at some of the highlights of the city including Sensoji Temple in old town Asakusa or the Fukagawa Edo Museum for incredible replicas of Tokyo during the Edo Period. In Hakone, we will enjoy breathtaking views of the incredible Mt. Fuji perhaps with sakura - Japanese cherry blossoms in its backdrop. In Atami you will stay at a Japanese style style hotel where you can soak in the hot springs and enjoy a traditional Japanese style meal. With the bullet train, the ride to Nara and Kyoto will be a quick one. We will say our greetings to the Giant Buddha at Todaiji Temple in Nara then head to Kyoto's Ninenzaka to walk through the streets of another era. Our Japan Cherry Blossom Tour would not be complete without participating in Japanese green tea ceremony, which we have managed to fit into our Japan tour packages. Sakura, or Japanese cherry blossom, marks that spring has arrived melting the snowy barren terrain and bringing new life. Feel the fresh air of flowers blooming in favorite spots like Tokyo, Hakone, Mt. Fuji, Nara, Kyoto, Osaka, Hiroshima, and Miyajima. Starting our Japan Cherry Blossom Tour with Hiroshima from the buzzing city of Tokyo, we will make stops at Japan’s must-see spots including Shinjuku, the old town Asakusa district, and the famous Shibuya Crossing, the world’s busiest intersection. From Tokyo our Japan Cherry Blossom Tours package will head to Hakone to get a glimpse of the iconic Mt. Fuji and for a true Japanese experience in the hot springs of Atami. Then a quick ride on the bullet train will take us to Nara and Kyoto to visit some of Japan’s top destinations such as the gorgeous Golden Pavilion, endless vermilion torii gates of Fushimi Inari Shrine, and our deer friends at Nara Deer Park. All the while we will also experience Japanese green tea ceremony for a deeper connection with Japanese culture. Heading east we will make our way to Hiroshima where Japanese cherry blossom breathe new life to the skeletal remains of the A-Bomb Dome marking peace over the horrors of war of the past. You can also extend your vacation before / after this tour in Tokyo, Osaka, Kyoto, and Hiroshima. Come and smell the sakura - Japanese Cherry Blossoms! During spring time all the usual parks and temples even more beautiful with Japanese cherry blossoms, or sakura, in the background. Our Anime Tour take you to all the major anime and manga spots, and top cultural attractions like Tokyo and Kyoto. This fully escorted Japan Cherry Blossom Tour with Anime package will take you to the hottest anime spots. We also include stops for shopping at Nakano Broadway, Tokyo Character Street, the Pokemon Center, and in the hub of Otaku culture, Akihabara. You will have the opportunity to find rare items for your collection. 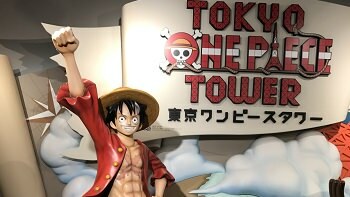 This Anime Japan Tour would not be complete without visiting playing some games at J-World and Tokyo One Piece Tower, followed by a meal at the Robot Restaurant. To fully experience Japanese culture, our Anime tour will venture out to Hakone, Nara, Kyoto, and Osaka to give you a taste of Japan's rich history. In Hakone we will take you on a ropeway to witness the beauty of Japan from different angles. We packed in some of the best Buddhist temples during this tour, including Sensoji Temple in old town Asakusa and the gorgeous gold leaf covered Golden Pavilion, or Kinkakuji Temple. At the Japanese inn, you will have the chance to sleep on those futons and relax in a hot spring, as the Japanese do to rewind after a long day. Visit all the anime spots you wish to visit and relive your favorite anime moments on our incredible Anime Tour. You can also extend your vacation before / after this Anime Japan Tour in Tokyo, Osaka, and Kyoto. Starting our Japan Cherry Blossom Tour with Hiroshima package from the buzzing city of Tokyo, we will make stops at Japan’s must-see spots including the famous Shinjuku district, the old town Asakusa district, and the famous Shibuya Crossing, the world’s busiest intersection. 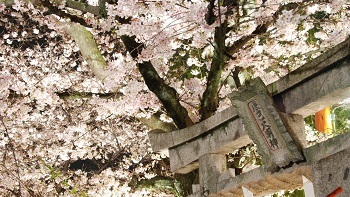 From Tokyo our Japan Cherry Blossom Tour will head to Hakone to get a glimpse of the iconic Mt. Fuji and for a true Japanese experience in the hot springs of Atami. Then a quick ride on the bullet train will take us to Nara and Kyoto to visit some of Japan’s top destinations such as the gorgeous Golden Pavilion, endless vermilion torii gates of Fushimi Inari Shrine, and our deer friends at Nara Deer Park. All the while we will also experience Japanese green tea ceremony and sake tasting for a deeper connection with Japanese culture. Heading east we will make our way to Hiroshima where Japanese cherry blossom breathe new life to the skeletal remains of the A-Bomb Dome marking peace over the horrors of war of the past. Sakura has come! Not from Cardcaptors or Naruto, but the beautiful pink flowers of Japanese cherry blossoms. Join us in our Cherry Blossom Anime Japan Tour with Hiroshima as we visit all the favorite anime spots in Tokyo and make our way to Kyoto, Osaka, and Hiroshima. This fully escorted Japan Cherry Blossom Tour with Anime package will take you to the essential anime spots from Akihabara to Z. We’ve got all the anime spots, including Animate, Nakano Broadway, Tokyo Character Street, the Ghibli Museum, Pokemon Center, and Tokyo One Piece Tower. 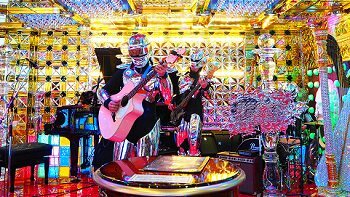 We have also included stops at the Robot Restaurant, a popular destination for food and a show. From the metropolis of Tokyo, our Anime Japan Tour will head towards Kyoto, stopping at integral destinations along the way. During this Anime Japan Tour, enjoy a stay at a Japanese inn one night of your trip and visit several temples including Todaiji Temple, Kinkakuji Temple or Golden Pavilion, and Sensoji Temple. Visit all the anime spots you wish to visit and relive your favorite anime moments on our incredible Anime Tour while also enjoying the traditional destinations on your itinerary. You can also extend your vacation before / after this Anime Japan Tour in Tokyo, Osaka, and Kyoto.